I have a confession to make. I’m guilty of just popping in my keywords into Google search and getting some images straight out of search results. The problem? That little disclosure that says images may be subject to copyright. It is not always ok to just grab images off of the Internet even if they popped on Google. The solution? Free stock images websites. Hold on, I know you’re cringing at the thought of it right now. But let me tell you that there are amazing website full of beautiful stock imagery that doesn’t even look stock. Yes, you’ve read it right: no more people in suites against white background. Plus, all of the sites mentioned below operate under Creative Commons zero meaning you can copy, modify, distribute and perform the work, even for commercial purposes without asking permission and attributing it to the source. This a great solution when you’re looking for that great-looking image for your blog or feel a bit stuck with your Instagram content. There are amazing website full of beautiful stock imagery that doesn’t even look stock. Some gorgeous photos with beautiful filters are available on this website. This is one of the best websites to look for free stock photos. Because the site also allows you to search for specific keywords, as well as, showcases statistics on views and downloads. You can choose to use the most popular photos, because you know they resonate with people; or, conversely, you could look for less popular images to ensure that this same image won’t appear on every other blog. Best of all, the library is constantly updated with hundreds of new high-resolution images. Even their website states that these are “free (do whatever you want) high-resolution photos.” Ten new photos are added every ten days; and you can also download Unsplash Instant Chrome extension to get beautiful Unsplash photos in your new tabs. A fair warning though: with these gorgeous images popping up, you might forget why you opened new tabs in the first place. Our beloved tool for creating social media graphics, print materials and infographics — unsurprisingly — has a great collection of stock images. What’s really great is that when you are working on a new design, you don’t need to scour the Internet for that perfect image — search through Canva first and effortlessly add the images you love to your work. Snapwire is a beautiful app for photographers to share and get paid for their images. Snapwire Snaps is a collection of seven free beautiful stock photos every seven days. This is a truly global sourcing of images! Also, check out Snapwire Marketplace where you can buy some stunning images or commission your own unique project. Gratisography has some pretty unique images with interesting choices. So if you’re looking for something provocative and/or creative to make your images stand out, check out this site. This site is definitely far from the usual stock photography options. Cool images sorted by categories including business, food, and travel (so many bloggers were sold on it right there). Also, you can browse images for free or get monthly curated collections for $10 a pack. Negative Space has some pretty sweet free high-resolution stock photos. What I like about this site is that the image search can be done by category and even color (I’m looking at you, branding freaks). This site offers both free and premium options. Pixabay offers over half a million of free stock images, all absolutely free and searchable. Jay Mantri creates artistic images you can use for free. As his website states, “make magic.” Boom! Life of Pix offers images made by Leeroy, an advertising agency in Montreal and its network of photographers. All for free and updated weekly. Picography offers some sweet images, however, they’re not sorted in any way and the search capabilities are very limited. But give it a try if you’re looking for moody, mostly urban images. This website offers stylish stock images. What’s interesting is that you can download a majority of already existing images as a zip file for under $10, or for only $20 / year, SplitShire will download all of the new images right to your Dropbox folder. Pretty sweet, isn’t it? Picjumbo offers free stock images sorted by categories, a Photoshop plugin and a premium membership. The latter has some incredible themed collections, so it might be worse paying $10 to get amazing images on relevant topics to save you time and effort (and make your website or social media presence look beautiful). No more silly images and no more running risks of copyright infringement. Browse through thousands and thousands of stunning photography with a peace of mind. Plus, drive home your Instagram branding with polished, cohesive look. What other sites do you use to find free stock photos? Share in the comment section below or head over to Instagram @lesyaliu to continue the conversation. This is great, there’s some sites on here I haven’t heard of before. Thanks for sharing. 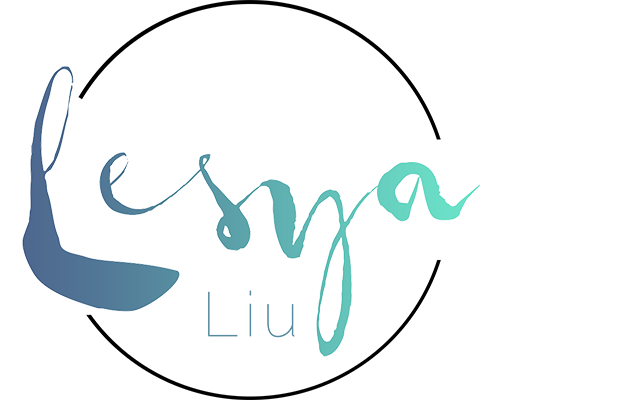 Canva and Pixabey have some gems Lesya. I use my travel photos 100% on my blog but grab stock photos for my guest posts on various blog. Fabulous list here. Pinned and Tweeted.